This Roasted Fresh Tomato Salsa Recipe is full of robust flavours and I have got you covered with this perfect easy recipe to make it. Wonderfully smoky, crunchy and tangy, this salsa is absolutely addicting and all it takes is 20 minutes of cooking time. 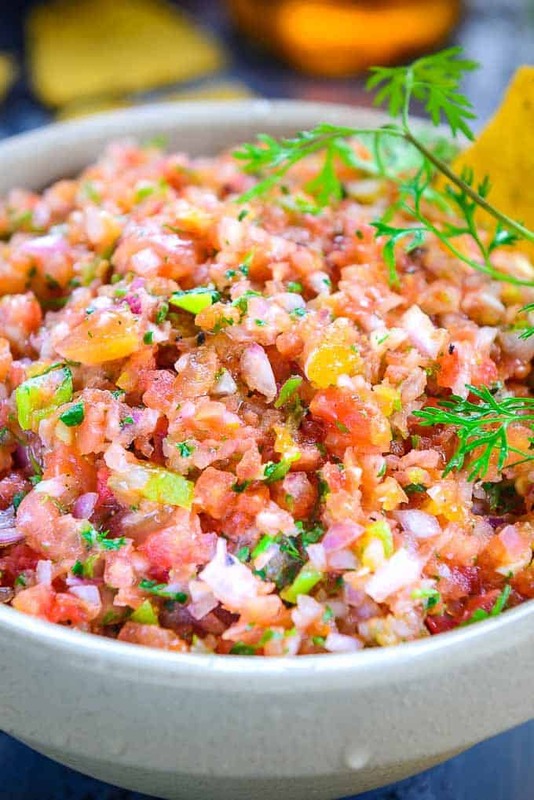 Here is how to make Fresh Tomato Salsa recipe at home. Mexican food is not complete without a variety of Salsa. 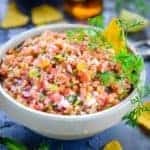 Tomato Salsa is the most common one and there are many ways to make this simple yet flavorful dish. 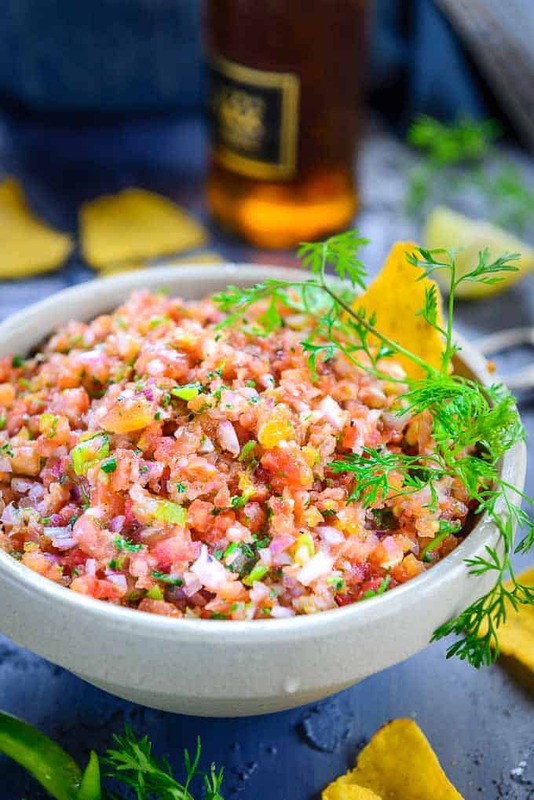 It is traditionally called Pico De Gallo or Salsa Fresca and is made using chopped tomato, finely chopped red onion, cilantro and lime juice. This tasty salsa is served with tortilla chips or nachos but you can also serve it as a side with your meals or sandwiches. I have tried different versions in the past to make this salsa recipe including Cucumber Tomato Salsa, Avocado Tomato Salsa etc and loved them all. 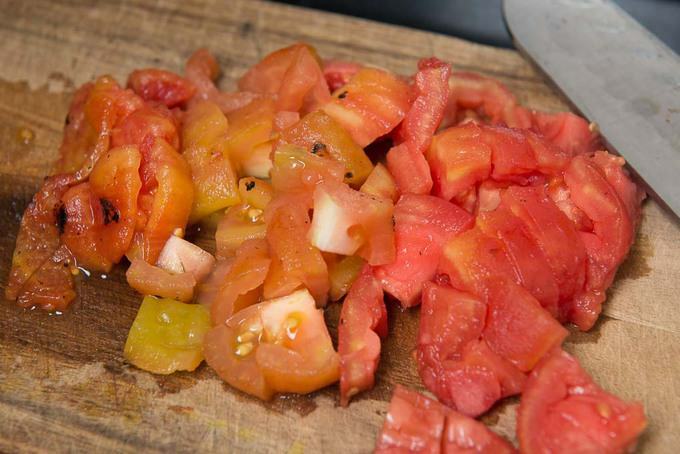 You can even try Fresh Tomato Salsa with green bell peppers or with black beans. Salsa made at home is definitely better than store bough version. With tomatoes in season, I am trying a lot of tomato recipes like Tomato Basil Soup, Creamy Tomato Soup, Tomato Fish Curry etc and this fresh tomato salsa is also making it’s presence quite often. 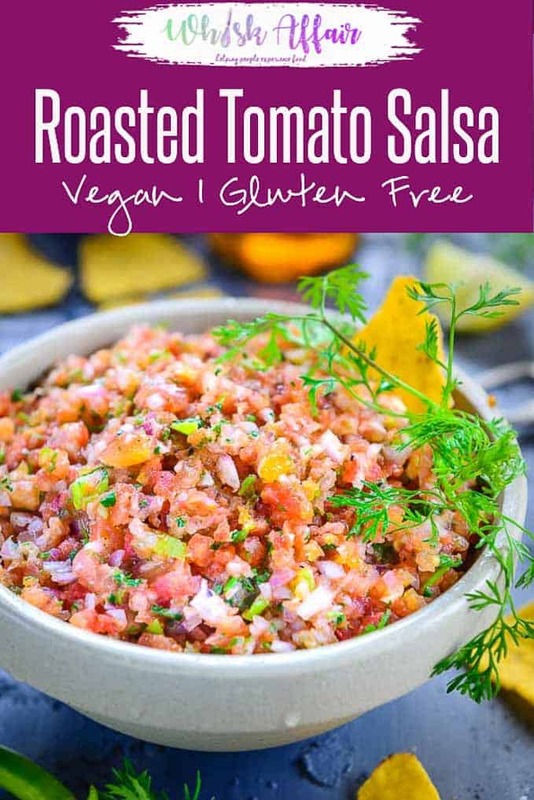 The juicy tomatoes when roasted gives a delicious flavour to this Roasted Fresh Tomato Salsa and then blending the ingredient coarsely in a food processor make all the difference. You can also use your hand blender if you don’t have a food processor. To make this Roasted Fresh Tomato Salsa recipe in an oven, cut the tomatoes into large chunks and arrange them on a baking sheet along with chopped onion and garlic. 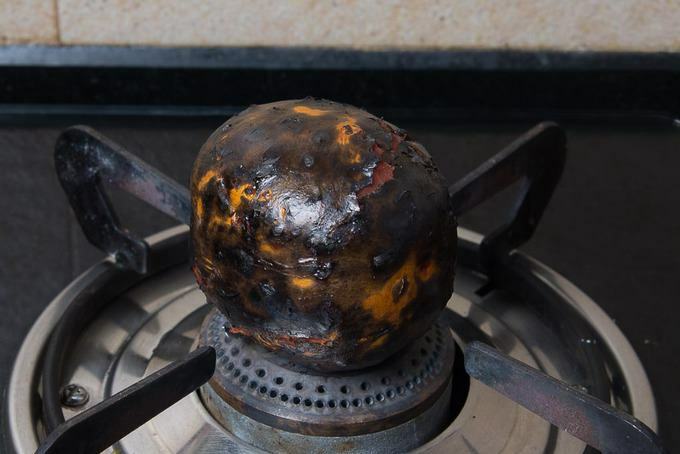 Preheat the oven to 200 degrees and roast the tomatoes until they are slightly blackened. Bring them to room temperature and blend along with cilantro, jalapeno, lime juice, salt and pepper. Refrigerate for 30 minutes and serve with nachos. Can you freeze Tomato Salsa? Salsa is best eaten fresh. Freezing it makes it watery and the flavours are lost. 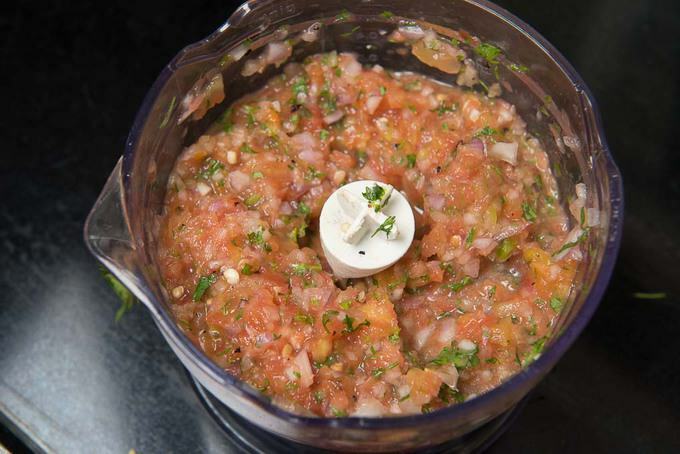 For best result, make this salsa 30 minutes to 1 hour prior to serving. Do you need to peel tomatoes to make salsa? 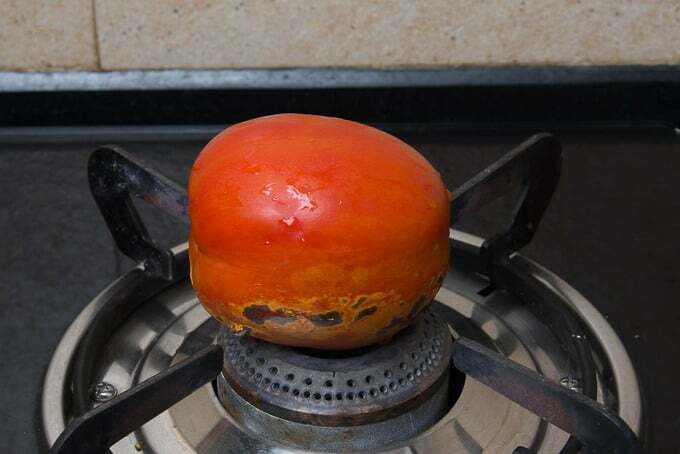 If you are not roasting the tomatoes, you can leave the skin on. But if making roasted tomato salsa, the skin must be removed before you chop the tomatoes. Which are the best tomatoes to make salsa? Roma Tomatoes or plum tomatoes are considered best for making tomato salsa. 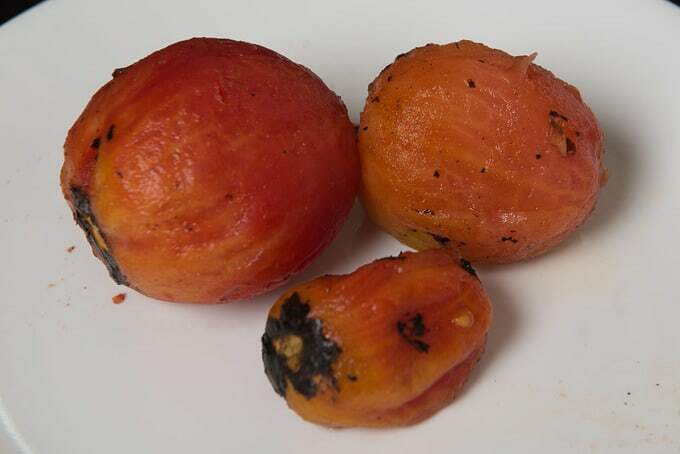 they have fewer seeds and are quite juicy. San Marzano is another choice of tomatoes to use for salsa. However, if these variety of tomatoes are not available, you can use nay ripe tomato and use to make this delicious salsa. Just make sure to remove the seeds properly. Wash the tomato and pat them dry. Make a few slits on the tomatoes and roast them over the direct flame until charred from all the sides. Let the tomatoes cool. Once cooled, remove the skin. Remove the seeds of the tomatoes. Mix tomato, onion, coriander, garlic and Jalapeno peppers in the bowl of your food processor. Use the chopping blade and blend till the mixture is coarsely chopped. Add olive oil, salt, black pepper and lemon juice and mix well. Wash the tomato and pat them dry. Make a few slits on the tomatoes and roast them over the direct flame until charred from all the sides. 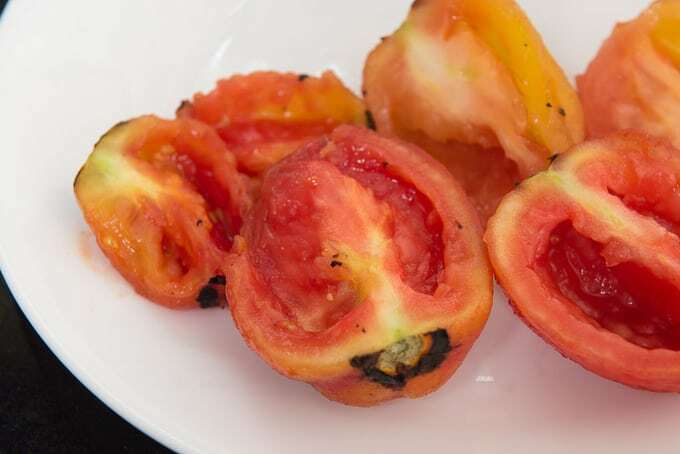 Once cooled, remove the skin and seeds of the tomatoes and chop them into small pieces. 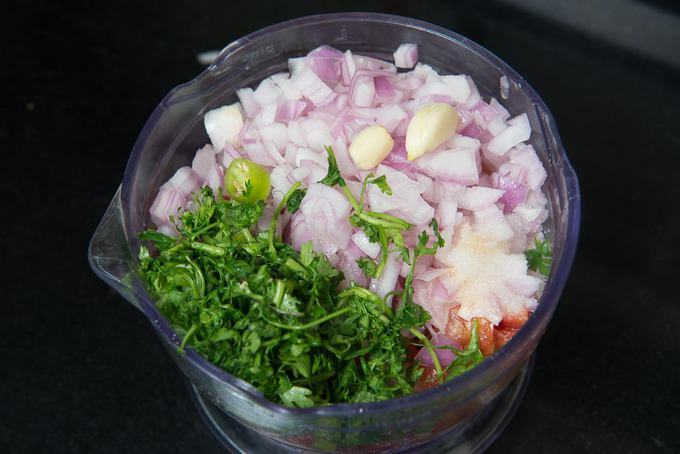 Use the chopping blade and blend till the mixture is coarsely chopped.